"I think it is incredible. It wasn`t expected and we didn`t think that we would do it because we are just a small shop in a High Street but we did and here we are finalists and close to winning." "On Hogmanay David Doig and his wife Gillian were celebrating in Dubai when David had a sudden cardiac arrest. No one was around to help him, no defibrillator and no one could administer CPR. His wife came back on 6th January without him. He was 54. "David was an exceptional man, a friend, a supporter of our community and a well-known business figure in the oil industry. His loss affected many people. Not only his wife Gillian and family, but at home in his community and throughout the world in his own company and his industry." After hearing what had happened to David in Dubai, Pamela and Iain considered what could be done if that happened in Kinross. Pamela added:- "Kinross ambulance call outs take up to 20 minutes." Researching the issue, they soon discovered that if you don’t perform CPR on the person, then the chances of surviving drops by 10% with every minute that passes. "We decided to put a tin on the counter and said let`s try and get some money for a defibrillator to put outside our shop." Collecting cans were just the beginning and in September a huge family-friendly event took place in Kinross High Street during Kinross Farmers Market. 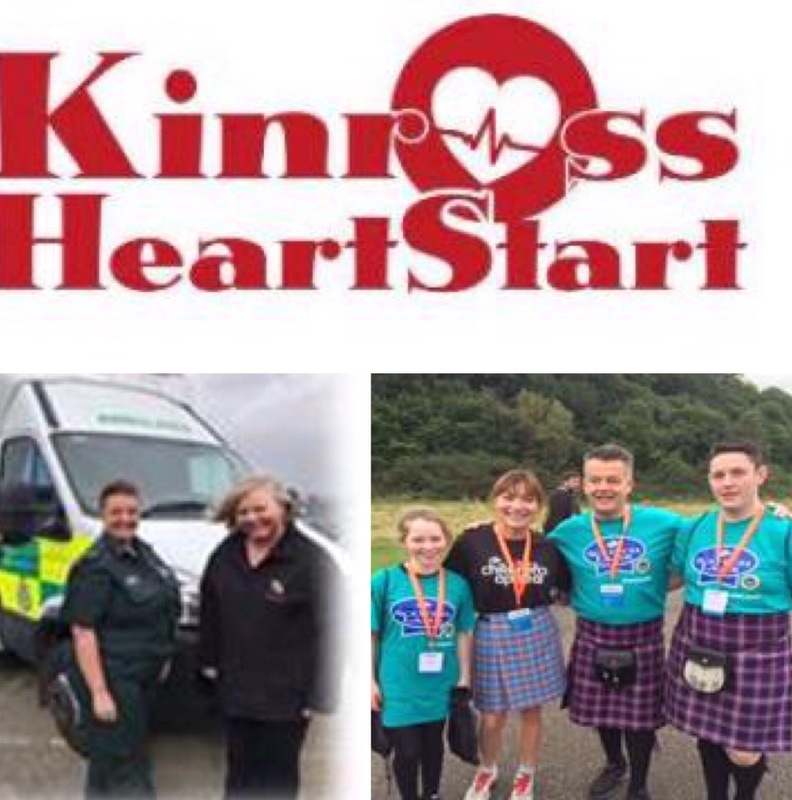 The event was organised by Hunters of Kinross with an aim to help visitors and the local community become CPR ready by teaching them the lifesaving skill of CPR (cardio-pulmonary resuscitation). Everyone was invited to come along and children were encouraged to dress up as their favourite superheroes, and to meet the Real Superheroes. "Seven months later we have four defibrillators in Kinross and we have trained 500 people in the town on how to administer CPR and we have five first responders when Kinross previously had one. We are really proud." "The plan is to take this to the regional meetings next April of the Scottish Federation of Meat Traders to talk to fellow butchers about the possibility of taking part in some kind of national campaign." 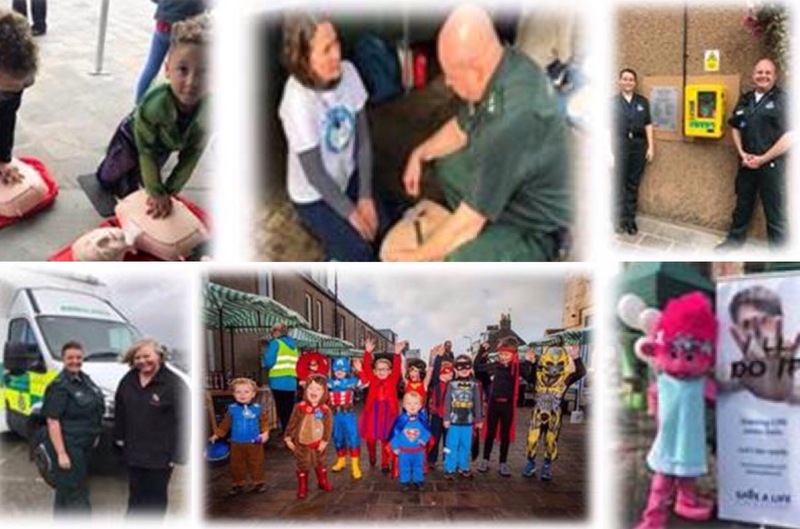 Hunters initiative is up for no fewer than six other awards this month including the National First Aid Award for Community Project and Perthshire Chamber of Commerce Award for Community.